My first experience receiving 360-degree feedback was quite an eye-opener. With a capable team of individuals who I worked well with and trusted to get the work of our department done, I felt pretty confident about the ratings I would receive. My peers and my boss were also people with whom I had great working relationships and who regularly shared their perspectives on the performance of my department. But, in fact, after I let go of my indignation and focused on what may have been true about the feedback I received, I realized that there were legitimate reasons for my low ratings in acknowledgment. Yes, I thought almost everyone on my team was great and put out their best effort. However, I rarely sat down with each of them to tell them so. It seems obvious now, but at the time, I thought that treating everyone the way I wanted to be treated was the way to go. I was never one who needed a lot of acknowledgment, pats on the back, words of encouragement, or accolades. If my boss gave me the autonomy that was important to me, let me do my job, and cleared obstacles that got in my way, then life was great. I didn’t care whether my boss told me what a great job I did or, even worse, called me out during a staff meeting. My idea of recognition was to receive even more autonomy and to be given the space to do my job free of oversight. What I learned from the feedback (surprise, surprise!) was that there were people on my team who wanted and needed to hear me acknowledge their contributions to the work, who would like to see me take the time to thank them. It wasn’t enough for them to be given more freedom and greater responsibility. They wanted to hear the words from me – “You knocked that presentation out of the park!,” “Thank you for getting this report in ahead of the deadline,” or “What a great job you did managing this project and the project team” – and, in some cases, to have me mention their names during the departmental town hall meeting. The lesson I learned that day is that recognition is not one-size-fits-all; it’s personalized and individual. As a leader and manager, it is your job to know what each of your team members needs to feel valued and acknowledged. Finding out what motivates them and fuels their energy for the work can only happen if you ask. What acknowledgment do your team members desire? 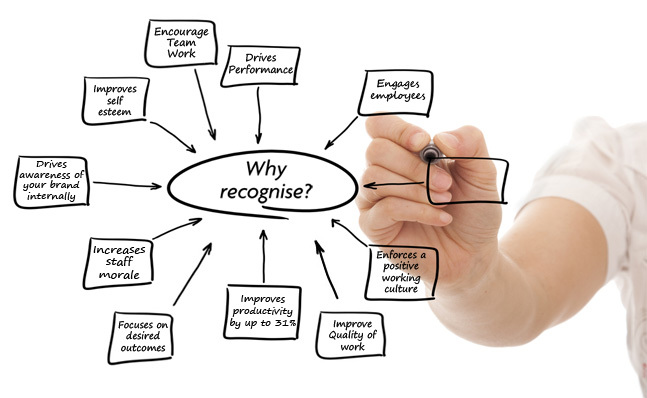 What recognition are you looking for? For support in strengthening recognition in your organization, contact Robyn at rmcleod@chatsworthconsulting.com.